Christmas is coming very soon! 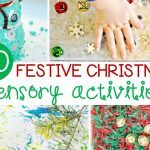 Are you and your students excited to start with all the lovely Christmas themed learning activities you see? 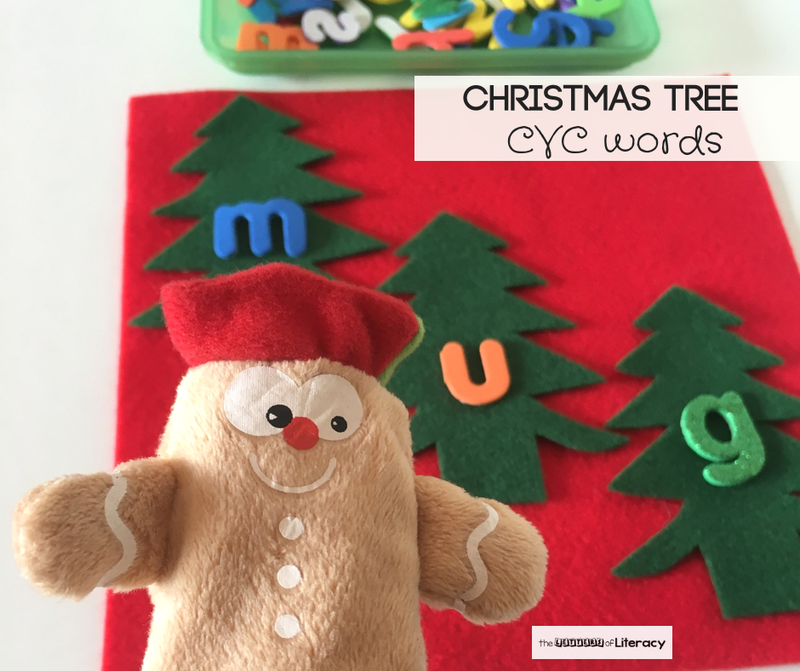 This is another super fun and festive activity for you- Christmas Tree CVC Words! 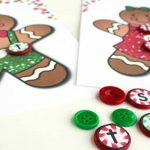 *Pair this with our December Kindergarten Printables Bundle! 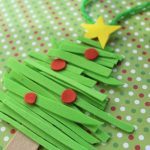 I have used felt trees because I had it on hand (I cut it for another activity), but you can use cardboard trees or simply draw trees. 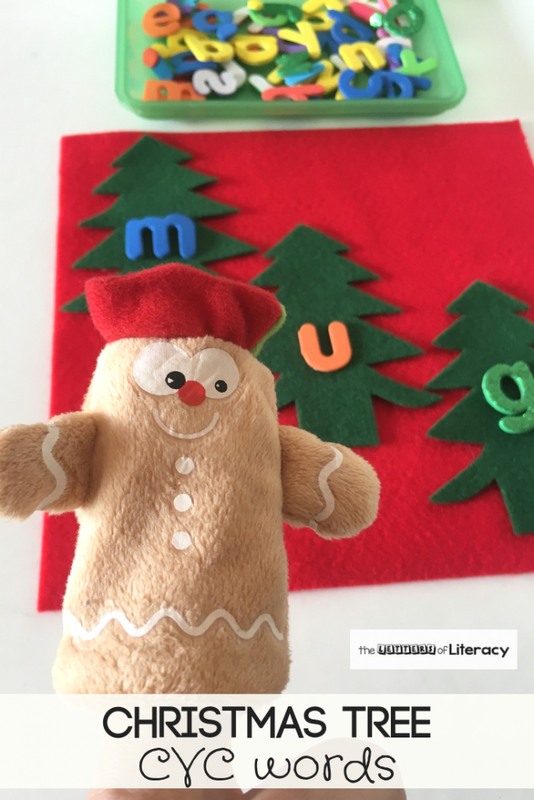 Then, we have this adorable gingerbread man finger puppet the kids adore. One can use any finger puppet, or stick puppet. 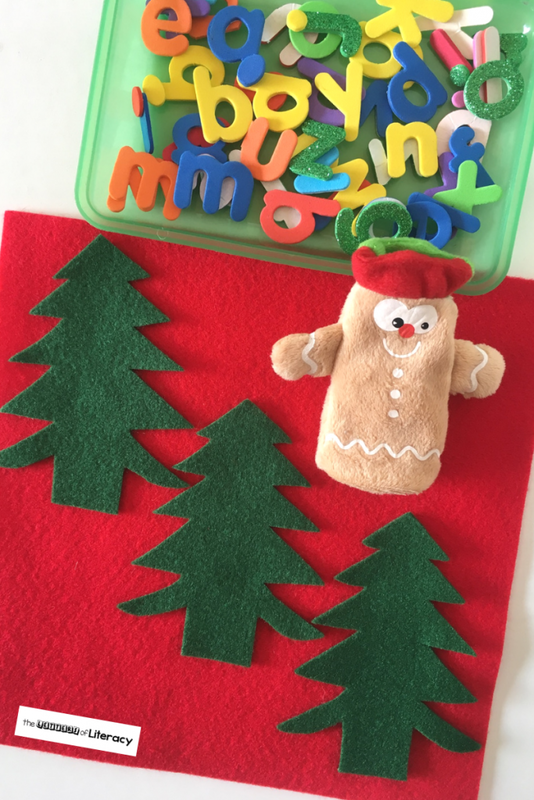 Idea: Have your kids make their own Christmas puppets as a craft lesson and then use it for literacy! 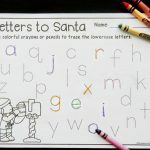 You can use your spelling words for the week or pick letters randomly to build a word that make sense. Note: when you let the students pick random letters, make sure it is a consonant, vowel, consonant pattern (great for revising consonants and vowel knowledge). Some words will be nonsense words, but that is a good opportunity to distinguish between words that make sense and nonsense words. 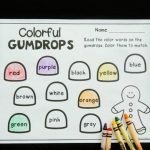 Also, if you are working on 4 letter words, add another tree and follow that pattern, whether it is CCVC or CVCC words. 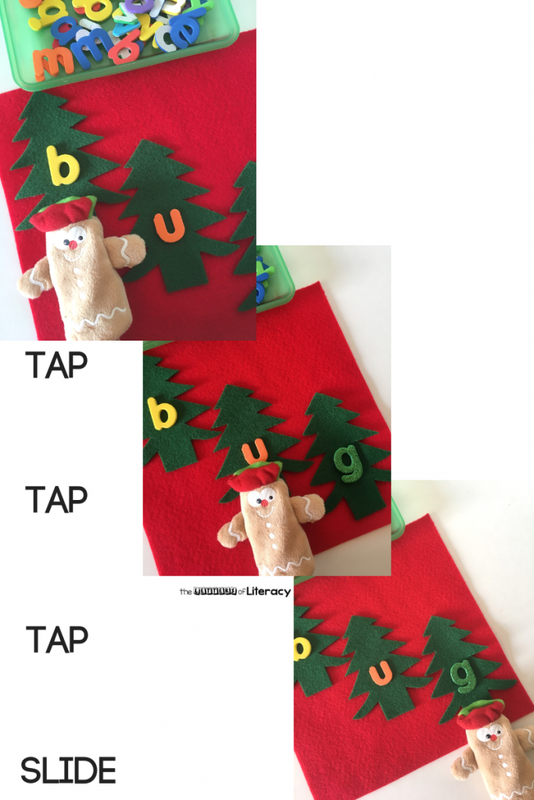 This literacy lesson idea is very simple, using a technique that is tried and trusted with early readers- the Tap-Tap-Tap-Slide technique. 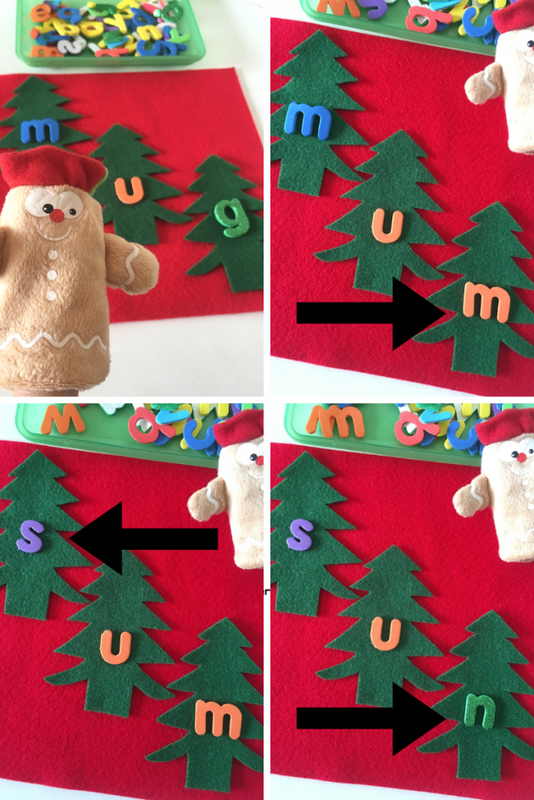 Tap each letter with the puppet and then slide down the trees saying the whole word. In fact- this is segmenting and blending in a fun way! 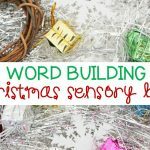 You can also play this game with this Christmas tree setup, again using your spelling words for the week or randomly picking letters: start with a word, then change only one letter to make a new word. Do this until you have used up all the letters or run out of real words! For example- mug changed to mum, changed to sum, changed to sun etc. 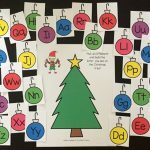 A fun Christmas tree CVC words activity you early readers will love! 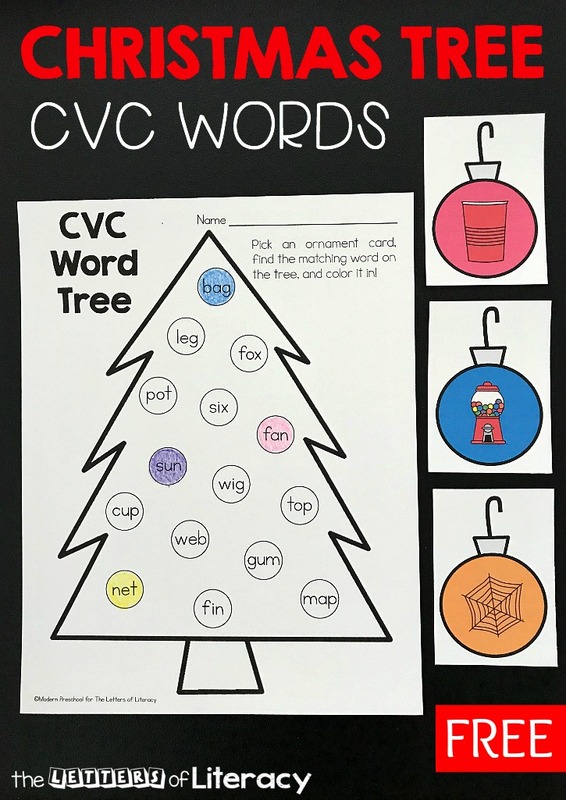 You might also like to see our Christmas Tree CVC Word Match Activity with FREE Printable!